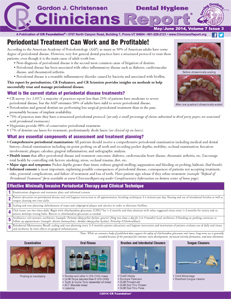 Periodontal Treatment Can Work and Be Profitable! • What is the current status of periodontal disease treatments? • What are essential components of assessment and treatment planning?